The lineage of Tibetan meditation practiced at Pure Land Farms is called the Yuthok Nyingthig (Tib. གཡུ་ཐོག་སྙིང་ཐིག་), the ‘Heart Essence of Yuthok.' 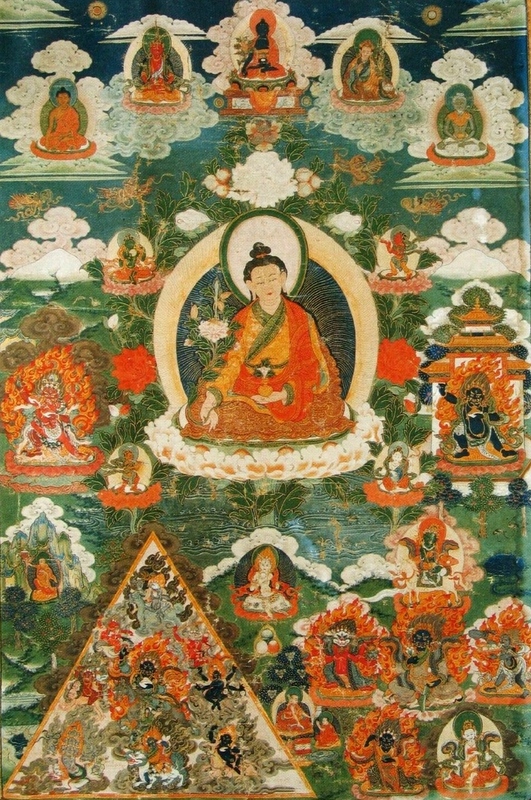 This unique compilation of spiritual practices were composed by Yuthok Yönten Gönpo the Younger, Tibet's great 12th century physician and meditation adept, considered to be an emanation of Medicine Buddha. It is a complete cycle of Vajrayana Buddhist practice, beginning with the preliminary practices (Tib. སྔོན་འགྲོ་ “ngöndro”) and progressing through the development and completion stage practices to the highest practices of Mahamudra and Dzogchen. Yuthok Nyingthig meditation practices are traditionally done in the context of a seven day retreat, making them practical and accessible in these modern busy times. Seasonal Yuthok Nyingthig guided group retreats are held in our Yuthok Ling temple so that students may be guided through the progression of Yuthok's practices by qualified teachers. Opportunity for solitary retreat will also be available beginning in 2019. We welcome practitioners of all lineages to practice on our land. In addition to Yuthok Nyingthig retreats and group practices, we also regularly meet at Pure Land Farms for Medicine Buddha practices, various healing Mantra recitations, and hold courses in Nejang Yoga. Nejang (Tib. གནས་སྦྱངས་) is a Tibetan healing yoga practice that literally means ‘cleaning the energy sites of the body.’ It consists of simple breath work, physical exercises, and self-massage designed to improve the function of the sense organs and inner organs, balance the internal energy, open the channels, and relax the mind.